We Repair All Model of Laptop Screen With Guaranteed Wholesale Price. Cracked Laptop Screen? Images keep flickering? Does your laptop boot up but after a while Laptop Screen fades to black? No Problem! We have options for you. We can Replace your Laptop Screen with guaranteed cheap price. 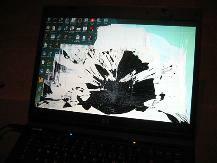 Feel free to contact us with any questions regarding your Laptop Screen repair and our services via email or Phone. Call Now on: 0791 2390678/ 0794 4384247.
laptop screen repair luton, laptop screen repair cost, laptop screens, broken laptop screen, replace laptop screen, fix laptop screen, laptop screen problems, laptop screen, toshiba laptop screen, how much to repair laptop screen, my laptop screen is black, laptop screen repair luton, replacing laptop screen.